Art Teaching speaks to a new generation of art teachers in a changing society and fresh art world. 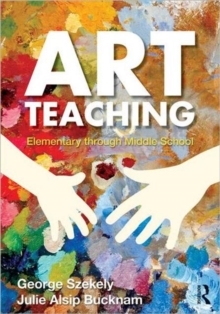 Comprehensive and up-to-date, it presents fundamental theories, principles, creative approaches, and resources for art teaching in elementary through middle-school. Key sections focus on how children make art, why they make art, the unique qualities of children's art, and how artistic development can be encouraged in school and at home. Important aspects of curriculum development, integration, evaluation, art room management, and professional development are covered. A wide range of art media with sample art activities is included. Taking the reader to the heart of the classroom, this practical guide describes the realities, challenges, and joys of teaching art, discusses the art room as a zone for creativity, and illustrates how to navigate in a school setting in order to create rich art experiences for students. Many textbooks provide information; this book also provides inspiration. Future and practicing teachers are challenged to think about every aspect of art teaching and to begin formulating independent views and opinions.